One of the most expanding restaurant chains in the country. Viena is the European culture and culinary tradition. In their menu, they offer a variety of traditional dishes from Old Europe. Unique recipies with personality, reinterpreted and with their own label. 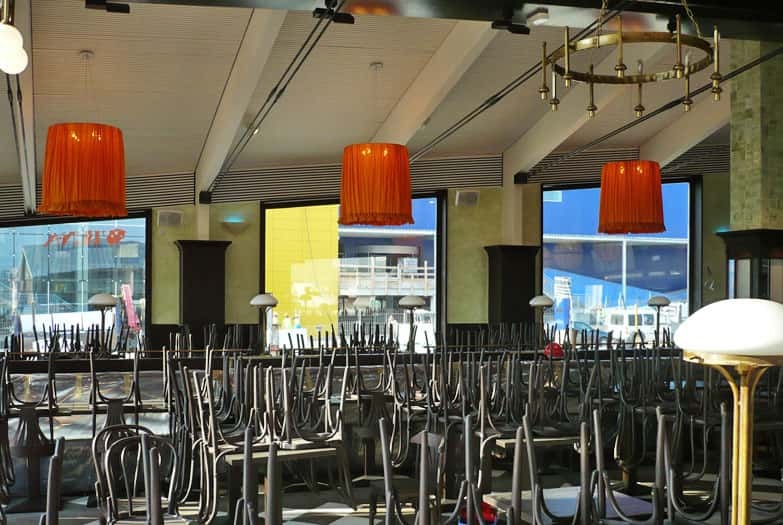 Dajor took care of custom manufacturing the lighting project for the Sabadell restaurant. 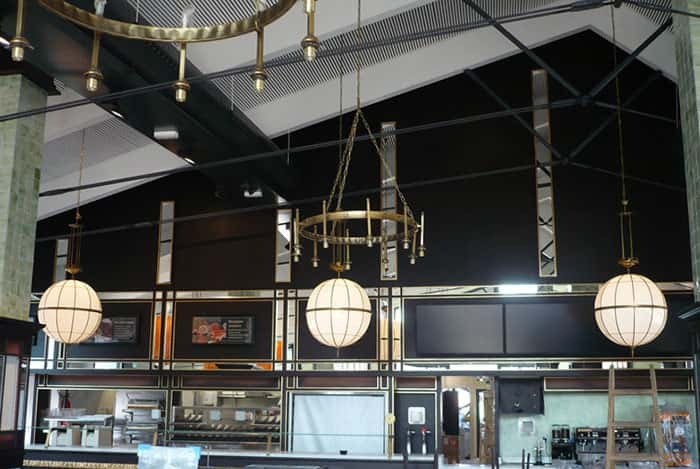 The interior design is the work of Lázaro Rosa-Violán’s team, which provided them with a style that brings together the great cultural variety that characterises their food. 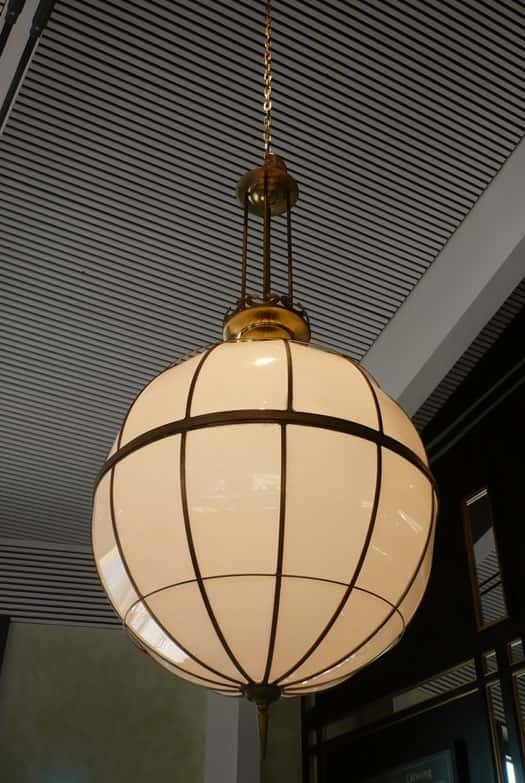 In Dajor, we manufactured large hanging lamps in the form of a matt glass ball suspended by chains. 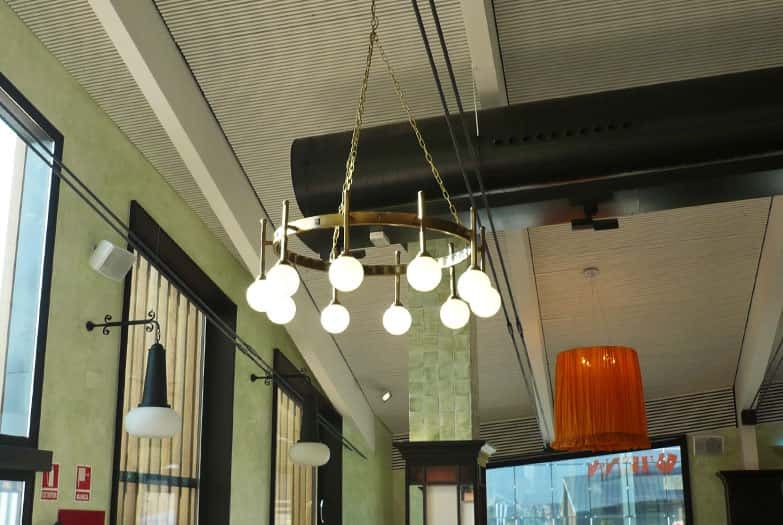 For the ceiling, we also manufactured some hoop-shaped brass lamp holders with a capacity for ten opal glass balls. 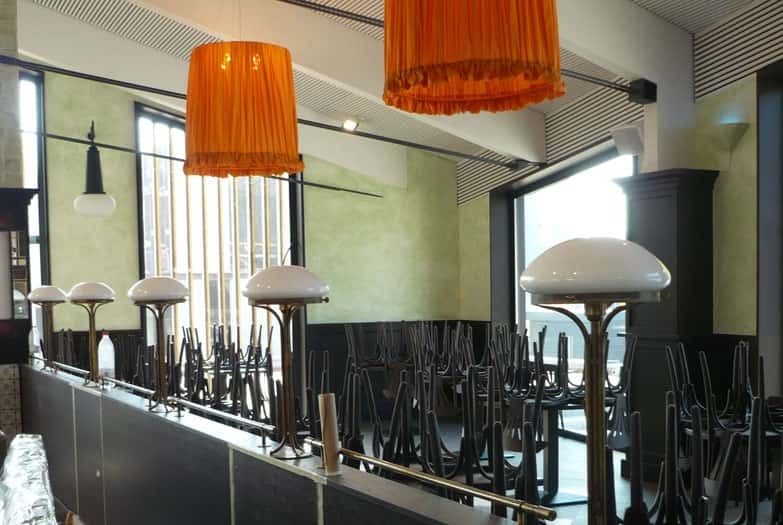 We finished off the ceiling lighting with lamps with long orange fabric screens. 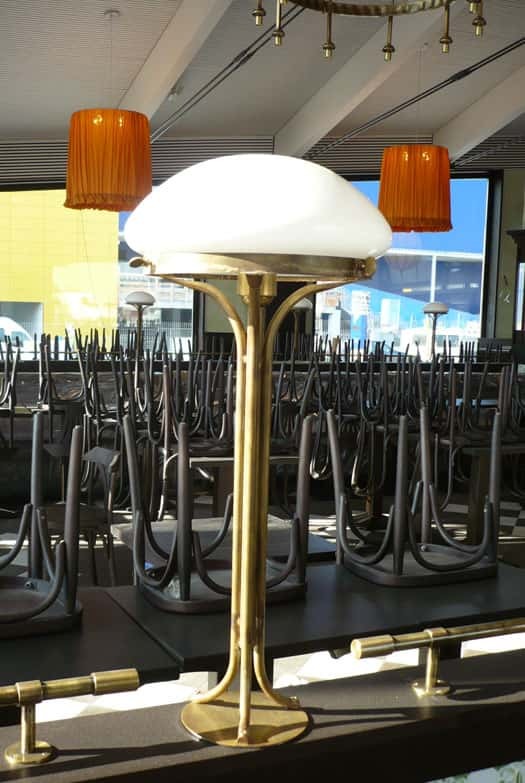 We made vintage table-top luminaries for the diners’ area, with an aged brass body and an opal glass shade. 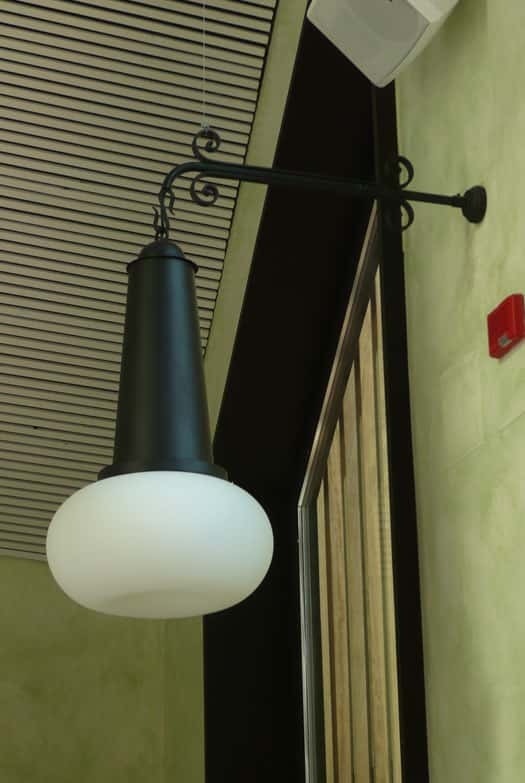 We finished off the lighting in this area with some black wall sconces with anold effect and an opalised ball at the end.